Hyundai Motor Europe will become a member of ACEA, the European automakers Brussels-based lobby group, effective January 2012. The 16-member group lobbies the EU on automotive policy on behalf of car, truck and bus manufacturers who have operations in Europe. Members include BMW AG, Daimler AG, Fiat S.p.A., Ford of Europe, General Motors Europe and Volkswagen AG. "We welcome Hyundai in our midst and are convinced the company will make a valuable contribution to the work of our association," Ivan Hodac, ACEA general secretary, said in a statement. Hyundai's European operations are based in Germany and the Korean automaker builds the i30 five-door hatchback and station wagon at its Nosovice plant in the Czech republic. According to ACEA figures, Hyundai sold 35,333 vehicles in April in Europe, a rise of 28.1 percent over 2010 figures, giving it a market share of 3.1 percent in the region. "We are delighted that Hyundai Motor Europe's application to join ACEA has been formally approved. 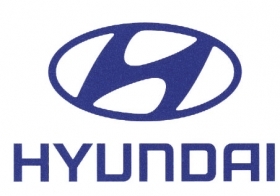 As a significant European automobile manufacturer, Hyundai looks forward to contributing fully to ACEA's important work in Brussels," Chang Kyun Han, Hyundai Motor Europe president , said in a statement.